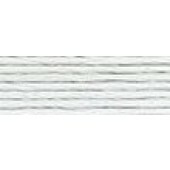 DMC Pearl / Perlé #5 cross stitch / embroidery threads (art 315) - available in 301 colours. 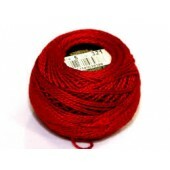 Each skein contains 25m / 27 yards of 100% cotton embroidery thread. Reputed to be the most beautiful thread in the world, DMC Pearl Cotton adds depth to your embroidery. This non-divisible luminous cotton thread is highly mercerized for an intense sheen and its soft and silky texture is ideal for all needlecraft, embroidery and creative stitching.